Dún Laoghaire-Rathdown County Council (DLRCC) has recently acquired Fernhill Park and Gardens and intends to develop the property as a Regional public park. 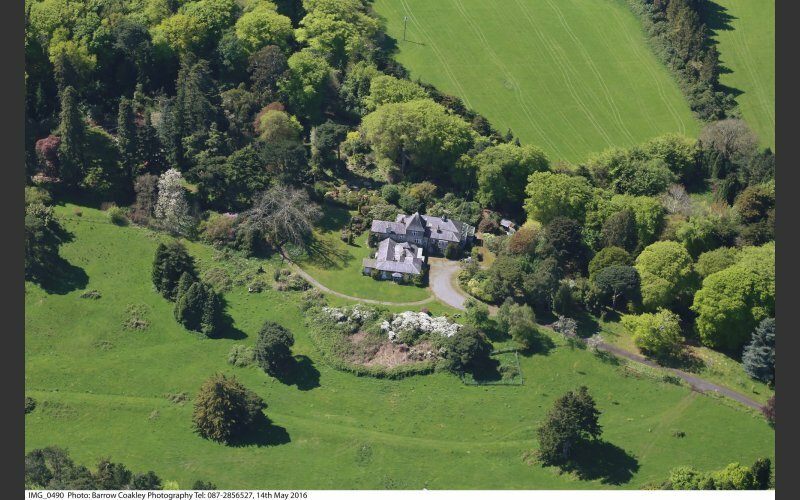 Fernhill is a former substantial family residence with ancillary buildings on 34 hectares of land (gardens, parkland, woodland and agricultural land) just south of the Enniskerry Road at Stepaside, County Dublin. Fernhill House and Gardens form an important component of the historic landscape on the fringe of Dublin City and an impressive example of a small estate dating back to around 1723. The former substantial family residence with ancillary buildings is surrounded by gardens, parkland, woodland and agricultural land in an elevated location overlooking Dublin Bay. Historic records indicate that the estate gardens and an arboretum were established in the 1860’s, and extended towards the turn of the 19th century with the inclusion of a number of water features, rockeries and a collection of many unusual Rhododendron varieties. The general design is said to have been strongly influenced by the Irish ‘naturalist’ gardener William Robinson (1838–1935), who spurred the movement that evolved into the English Cottage Garden style. Further improvements during the mid-20th century to the walks, additional topographical features and upgrading of the information on the plant collections, facilitated the opening of the gardens to the general public. The historic natural character of the site presents the opportunity for developing a unique public amenity, not only to serve the residents of DLRCC and surrounding region, but also as a prime visitor attraction in close proximity to Dublin and the Wicklow Mountains National Park. Dún laoghaire-Rathdown County Council would like to invite submissions from interested parties to have their say on the design and development of Fernhill.